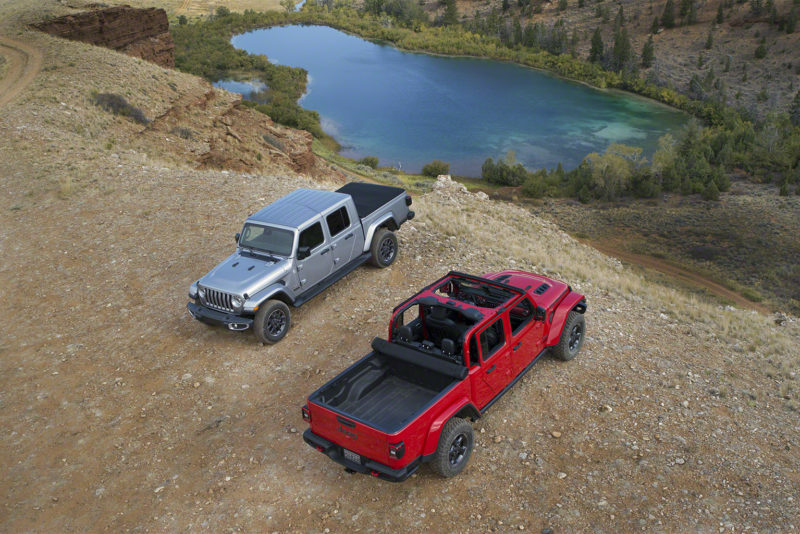 In 1992, Jeep quit making the Comanche, the last pick-up truck for the brand. Now 26 years later, it’s reviving the pick-up part of its lineup with the Gladiator. 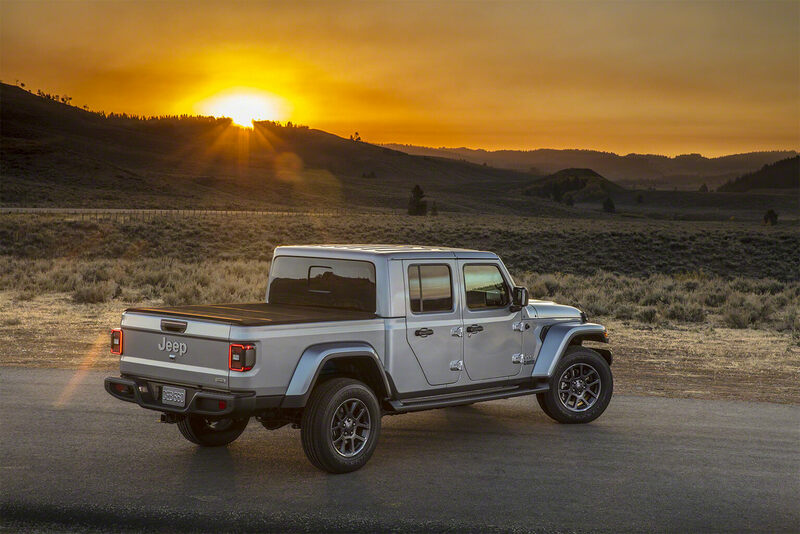 If you’re a Jeep fan, the name Gladiator might ring a few bells. 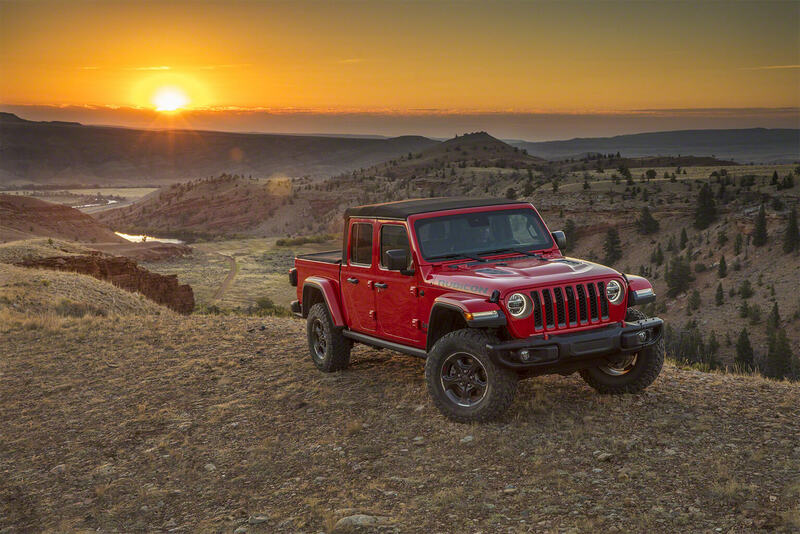 Back in 1962, Willy Motor Company released the first Jeep Gladiator. Based on the Wagoneer, it was a big, tough vehicle that lasted all the way until 1988. 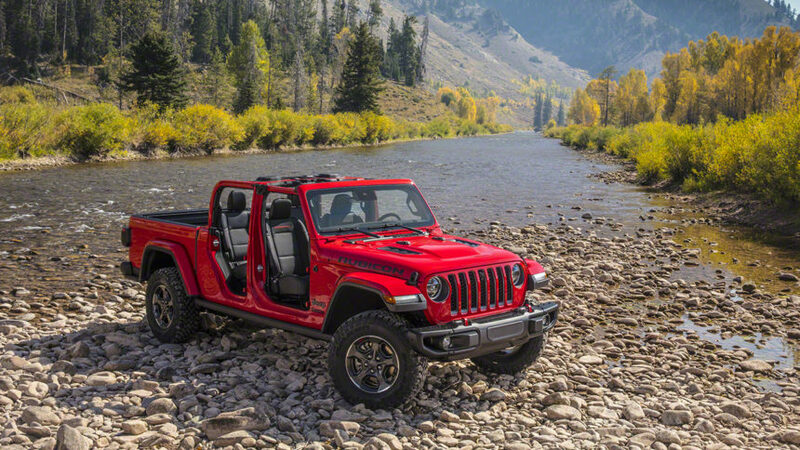 The new Gladiator is a bit smaller and rides on a modified Jeep Wrangler JL platform. It’s not a compact vehicle by any means though. It’s a full 31-inches longer than the Wrangler frame and the wheelbase sits 19.5-inches further apart. This extra length does come at the expense of some off-road ability. 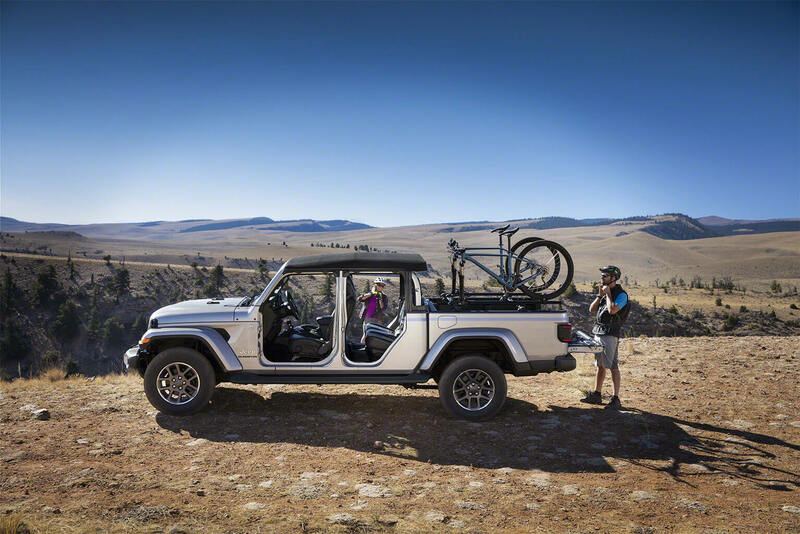 Both the break over and departure angles are less than the Wrangler. But it makes up for some of its shortcomings with 11.1 inches of ground clearance and 33-inch tires. Further helping the Gladiator off-road are solid axles both front and rear. 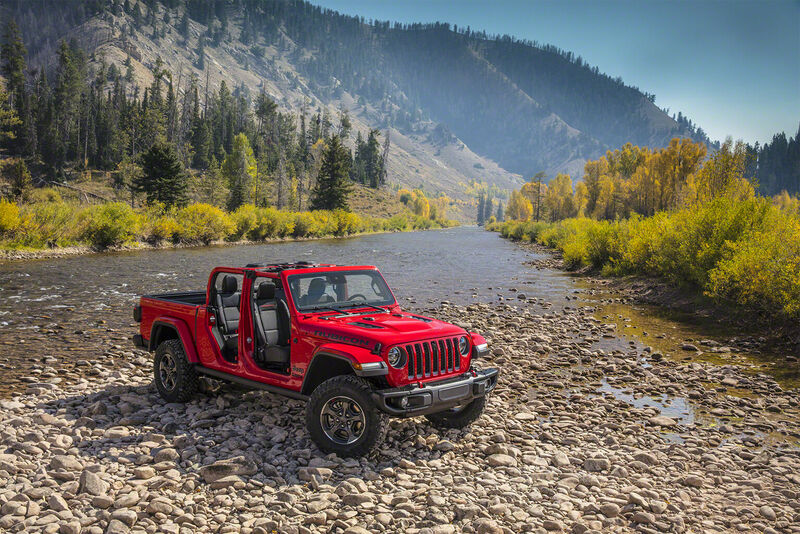 It also makes use of locking Dana44 differentials and 4.10 gearing on the Rubicon model. That couples up nicely with the 4:1 low range, which ensures you can get through some pretty rough terrain. As you’d expect the suspension is pretty beefy. The Gladiator uses 2-inch Fox aluminum shocks to help keep it rolling over terra firma. The front sway bar can also be electronically disconnected to add even more articulation. The beefy suspension isn’t just for off-road either. 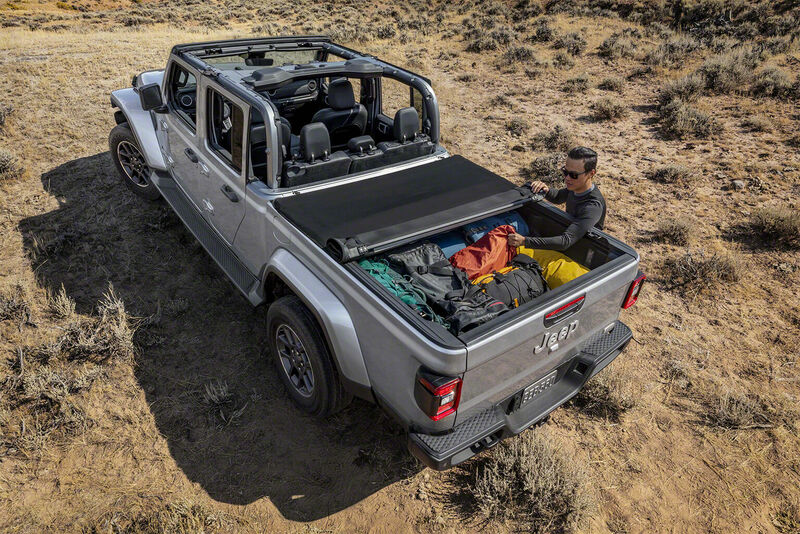 Since the Gladiator is a pick-up truck, it needs a stout payload and tow rating. 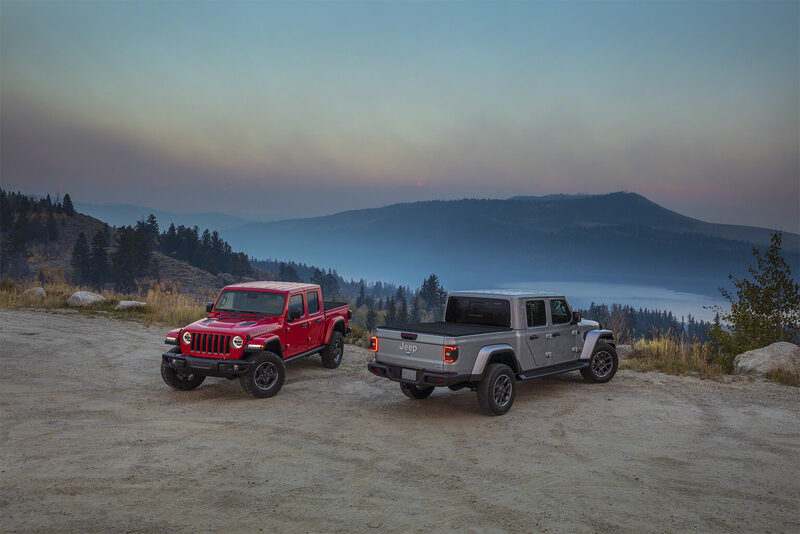 Thankfully, Jeep didn’t miss the memo here and it claims the Gladiator offers best in class numbers for both categories. The payload capacity clocks in at 1,600lb, while the tow rating sits at 7,650lb. Both numbers do seem to eclipse other mid-size trucks on the market. However, it’s only in very specific configurations, so the number might be a little skewed. 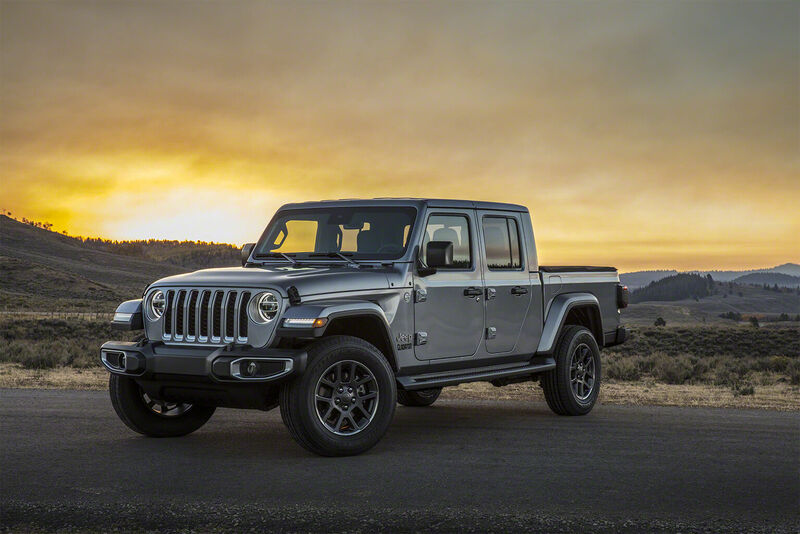 As far as engines go, it looks like the Gladiator will have just one choice at launch, the Pentastar 3.6-liter V6. This turns out 285hp and 260lbft of torque, which is in line with most mid-size trucks. Shortly after the initial launch, Jeep will also offer the 3.0-liter Ecodiesel. With 260hp and 442lbft of torque, it’s probably the better option out of the two. Save-the-manual aficionados can rejoice too. 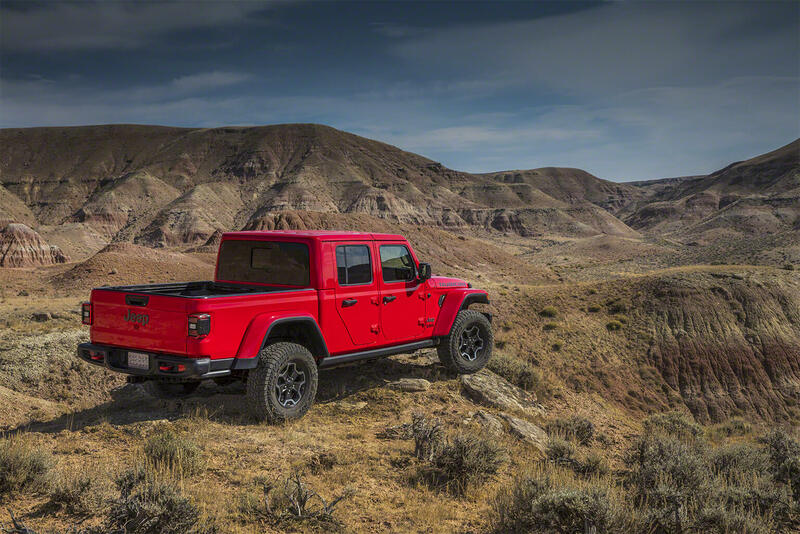 The Gladiator will have the option for a six-speed manual transmission. However, you do give up some of the low-end, off-road grunt for quicker acceleration. If the six-speed isn’t your thing, the other option is an eight-speed unit. 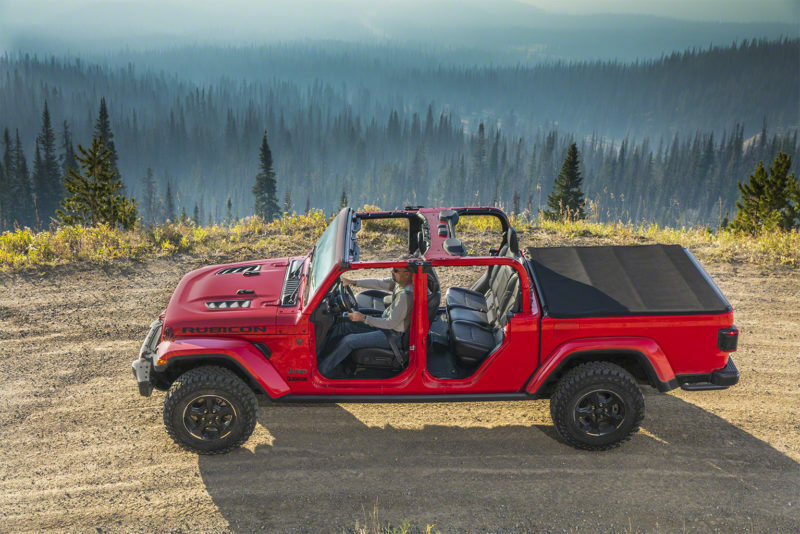 Like all Jeep Wranglers, both the doors and roof are removable on the Gladiator. 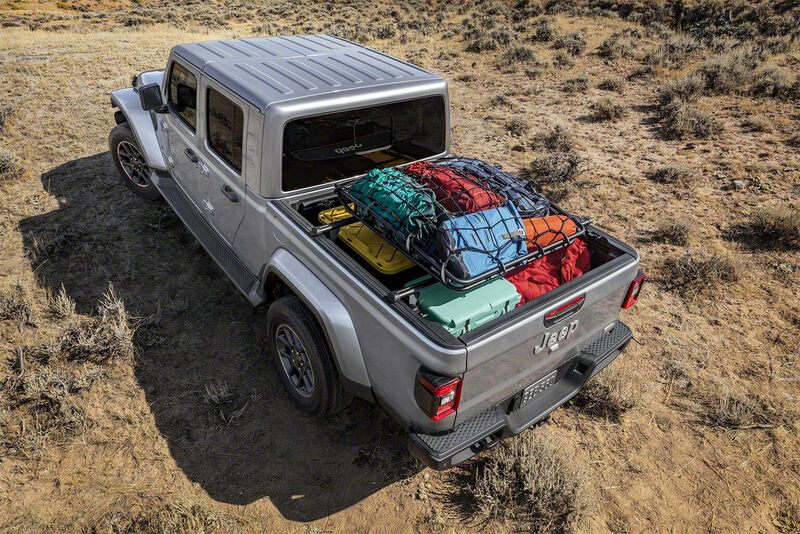 This makes it the first convertible pick-up on the market since the Chevy SSR in 2006. Or if you don’t consider that a pick-up, the first drop-top pick-up since the Dakota Sport in 1991. Another slick feature is that the front windshield can be laid flat as well. This is sure to make outings to the beach more enjoyable and let you feel the wind in your hair (and bugs in your teeth). The Gladiator will go on sale sometime later next year. There’s no price listed for the truck as of right now though. Considering the hefty price tag found on the Wrangler, we’re guessing it won’t be cheap. 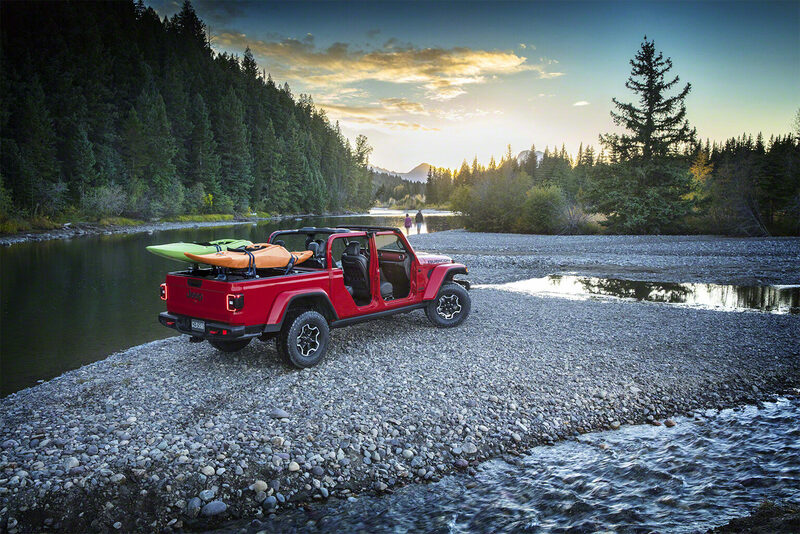 A base four-door Wrangler Sport starts at $31,445 and goes all the way up to $41,445 for the Rubicon. Expect the Gladiator to tack on at least $5,000 more to that price.